If there ever is a playground that is a hidden gem - it is this one. Ferny Creek playspace is tucked up in the recreational reserve, up behind the tennis courts and around the corner (can you tell Mamma missed it on the first attempt!). But boy you shouldn't miss dropping in for a play after an adventure in the hills. 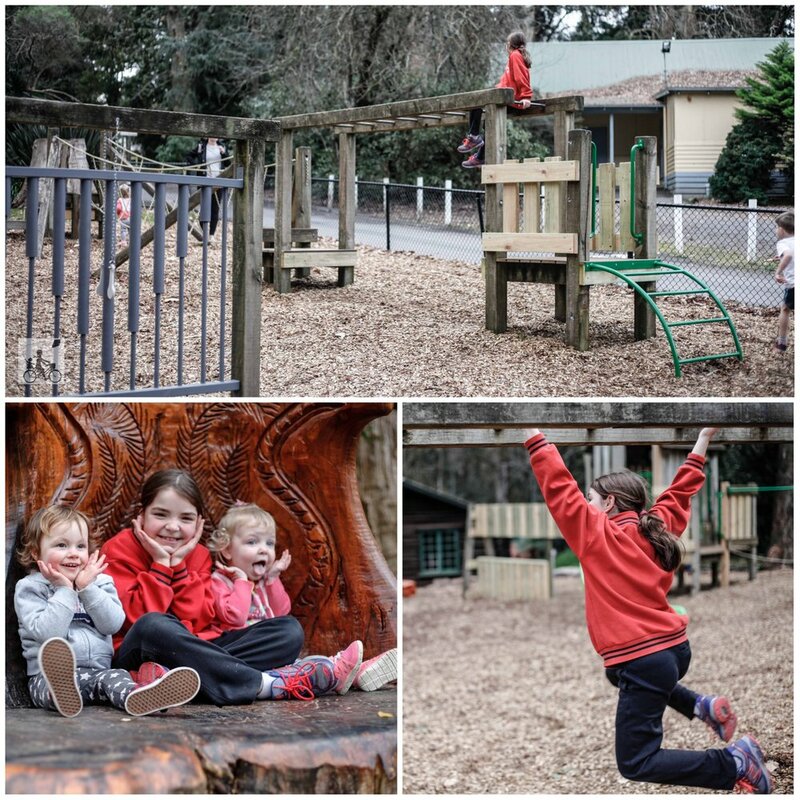 The fully fenced playground is gorgeous and home to three sleepy wombats, some hungry echidnas, a lyrebird with a fanned out tail and all under the watchful eye of the hawk. 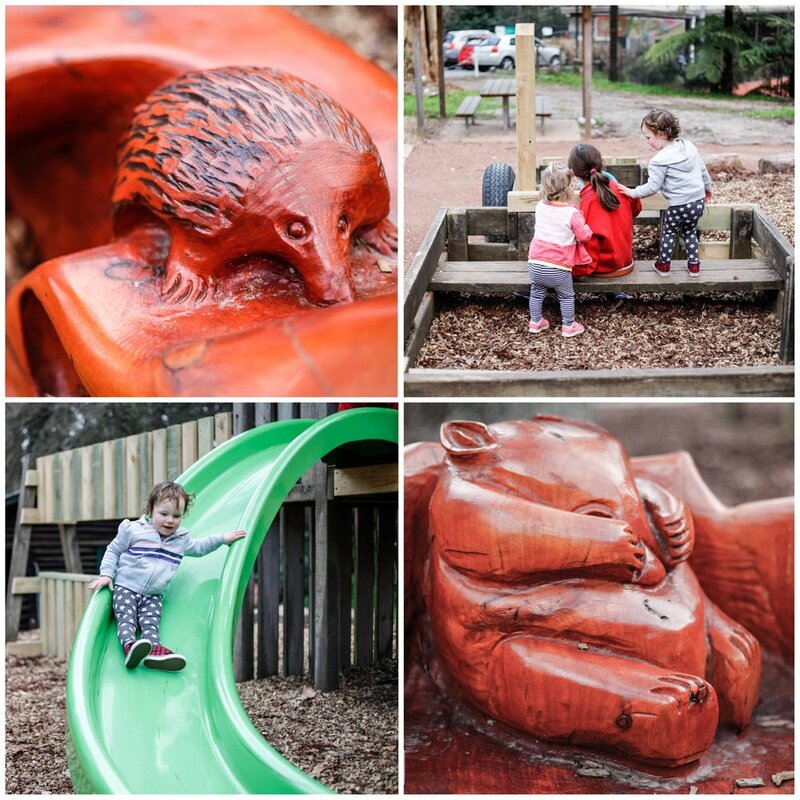 The playground has had a new lease of life and is a hit with big and little kids. The treehouse slide has to be Mamma's favourite and close in second - the tractor! The ground is covered in leave matter in this space and is spectacular in the autumn months with those reds and orange colours! Mamma's special mention: The Burnham Bakery and Piggery Cafe is not far down the road (maybe a little far to walk but pretty short drive) and is a brilliant, family friendly and a little bit fancy feed! 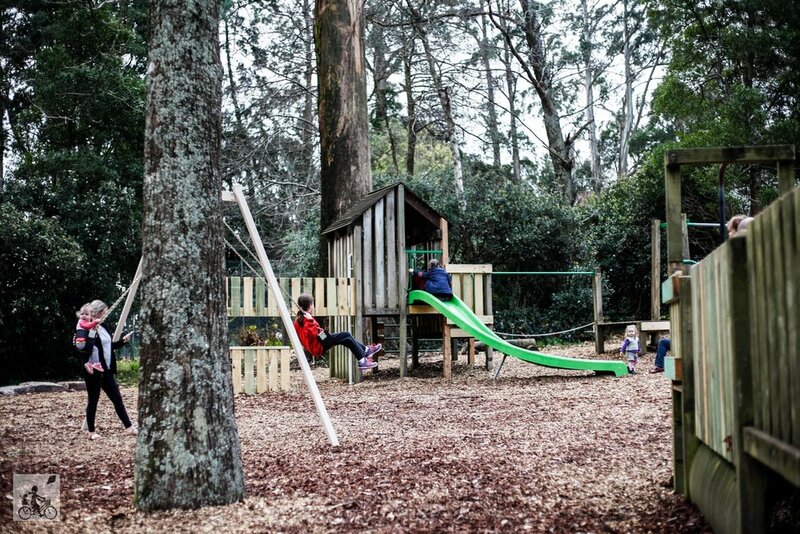 click here for more brilliant parks and playgrounds in the EAST!